This 3-fold pamphlet helps you explain to friends and family how your pain, fatigue, cognitive impairments, etc. are very real, even though they may not be very obvious to others. 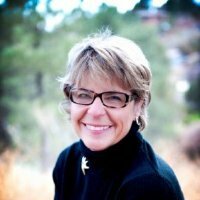 Kathe Skinner knows looks can be deceiving. Looks Can Be Deceiving! 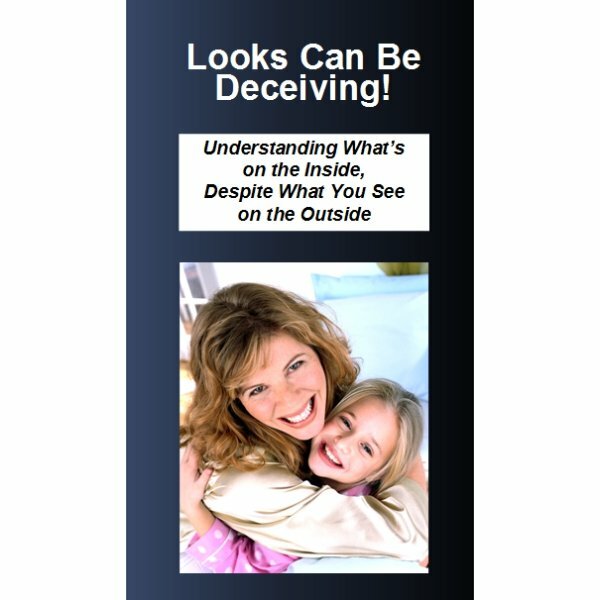 Understanding What’s on the Inside, Despite What You See on the Outside. This tri-fold pamphlet helps you explain to friends and family how your pain, fatigue, cognitive impairments, etc. are very real, even though they may not be very obvious to others. Why believe? Why believe someone is ill and in pain when their appearance and circumstances may indicate otherwise? Perhaps their body is crying out in pain, the brain fog comes and goes, and they alternate between moments of brilliance and a loss for words. How can we determine the extent of someone’s injuries and illness just by looking at them? 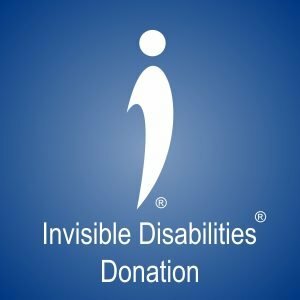 The reason the Invisible Disabilities Association (IDA) was founded is for this exact purpose – to help those with invisible disabilities and chronic pain whose friends, family members, co-workers, and perfect strangers may not “believe” that they are sick or in pain. We BELIEVE people who live with invisible disabilities. There are many things that create invisible disabilities like Traumatic Brain Injury (TBI) or Post Traumatic Stress Disorder (PTSD). Other conditions could include Dyslexia, Lyme Disease, Dysautonomia, Postural Tachycardia Syndrome (POTS), Autism, Multiple Sclerosis (MS), Bipolar Disorder, and Depression. Some other chronic conditions include Agoraphobia, Reflex Sympathetic Dystrophy (RSD), Cancer, Diabetes, Chronic Pain, Fibromyalgia, Chronic Fatigue and many more. We believe them when these people tell us what they can and can’t do each day. 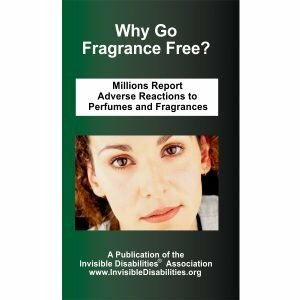 Do you know anyone with one of these conditions or another that causes invisible disabilities? Sometimes we have our own ideas about how much a person with illness or disability should be able to accomplish for their condition to be “real.” Yet, how many songs, books, movies, and works of art have been created by people throughout history who have experienced pain and illness? Each person with illness and pain has different symptoms and therefore has varying levels of ability and disability. It’s also important to remember that for some people, these symptoms may come and go throughout their day. Kathe Skinner, an Invisible Disabilities Association Advisor, shares her story of belief below. Most of us with invisible disabilities walk the line between trying not to look disabled and really BEING disabled. But looks can be deceiving. While my multiple sclerosis (MS) is more visible than it used to be, I’m still a bit prickly when someone says “Here, let me do that,” as if I’m incapable of doing it for myself. Back in April, though, I wish someone had said just that. My first day of a Palm Springs vacation was unusually hot (105 degrees), so pushing my rollator, which helps with my mobility, out to my rental car took a lot out of me. When I saw what was waiting for me – a black car with a black interior that had been soaking up the California sun for several hours – I decided I needed to try to switch to a different vehicle. Switching to a light-colored car was easy, but that third walk through the powerful heat was hard on my body. My left foot dropped and dragged, dropped and dragged, and messages about lifting my legs didn’t coincide with the messages in my brain telling me to push with my arms. I looked like an inchworm in mid inch. Safety was up ahead in the form of a silver car, and it wasn’t a mirage; I could see it there in the far right outfield of the parking lot (if it was Little League, nobody could’ve hit a ball that far). Like a wayfarer lost in the desert, I pushed as fast as I could, and dragged more with every yard covered until – Hallelujah and kiss the car – I was finally there! Imagine the moment of deliverance from need. Then you can imagine how I felt, looking at that car and noticing it had black interior. Here’s some trivia for you: A closed car’s interior temperature rises 30 degrees in 20 minutes – think about all the warnings you hear regarding why it’s important not to leave babies and animals in locked cars during heat waves. Combined with an outdoor temperature of 105 degrees, that car had to be at least 135 degrees inside. Get in? No way. But did I have any choice? Nope. I don’t remember how I got from the car to sitting on the ground once I drove back to the terminal. Or how people helped me inside where it was cooler. “Are you okay?” people asked. “No. No!” I said. “I have multiple sclerosis. I have a bad headache and no feeling in my arms or legs except heaviness. I’m sick to my stomach, and I can’t see very well. I’m hot – so hot, so hot.” I was trying to call my husband David, but I couldn’t remember the number. I remember thinking I must have mascara and snot all over my face from crying. I bet I didn’t look so good then. Amazingly, no one called 911. Finally, the police came and asked (a cognitively impaired) me if I wanted to go to the hospital. 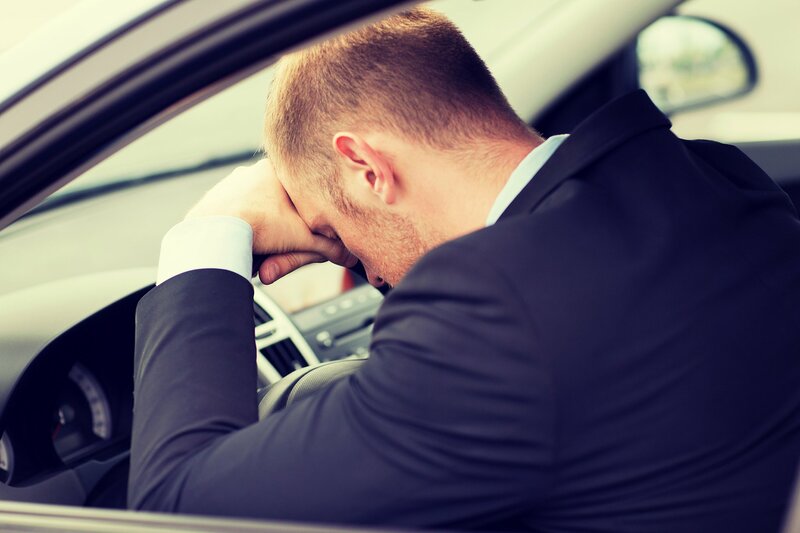 For the next five hours, I cooled down in the emergency room, had my requisite 10 minutes with the doctor and waited an hour for a cab back to the terminal to complete what I’d begun that morning – renting a car. I didn’t have any fun and yet my first day of vacation had cost over $1,600! Physically and emotionally, I paid, too. I slept for two days and endured a massive panic attack, followed by 24 hours of mania culminating in emotional immobility. Four days after I got to town, I went outside for the first time. Here’s what I’d like to see change: that service providers’ awareness is better on several fronts. First, heat is no joke for anyone, but especially the elderly, very young and those with chronic health conditions. Next, especially in a town rich with senior tourists, there’s a need to acquire knowledge about invisible disabilities. Finally, I’d like to see a mandate to act on behalf of someone as clearly incapacitated as I was. The rental company also agrees something was missed somewhere that day. My take away? Not to assume people know what MS does to me; to act courageously to acknowledge my limitations, especially when they don’t show; and to take care of myself instead of giving control away. It’s no one else’s job except mine to stay safe. And how could they guess when looks can be deceiving. Remember that fine line? Should I look more disabled – get rid of the make-up, look pathetic? I admit I might occasionally stoop that low. The straighter path is to educate others about the “presto-change-o” element of invisible disability. Widening that fine line shows others that disability isn’t pathetic and doesn’t look that way, either. Feeling that way myself is a journey I haven’t yet completed. IDA will never stop believing people like Kathe and we hope others will do the same. Our goal is not to judge the cause or extent of illness and pain, but to lend a helping hand, a listening ear and an understanding heart. Let us love first! Let us not be deceived by what we see or think we see or what we don’t see. Remember, looks can be deceiving. 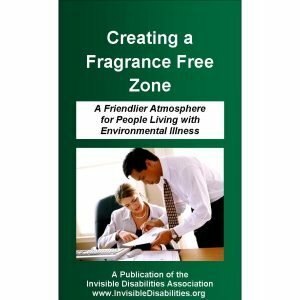 IDA envisions a world where people living with illness, pain, and disability will be INVISIBLE NO MORE! Won’t you join us, please?